For the third year, B.O.M.B. 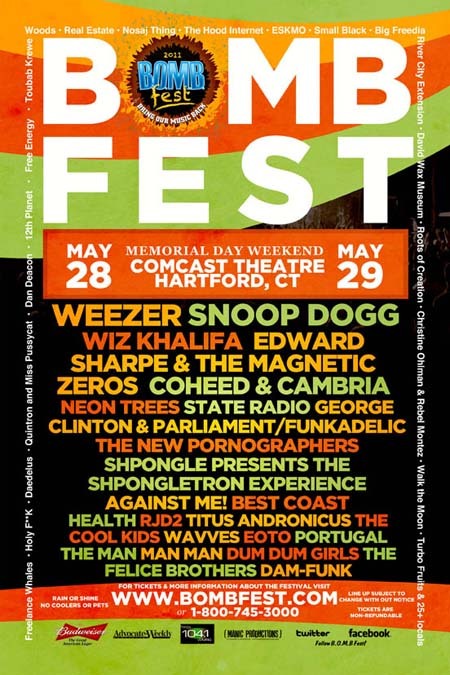 Fest will be returning to Connecticut. This festival has linesup’s of both Local and National, spreading out across Saturday May 28th to Sunday, May 29th. Visit bombfest.comfor tickets and more information. The lineup is below.